Here is a cute book with sing-along songs and simple but fun interaction. 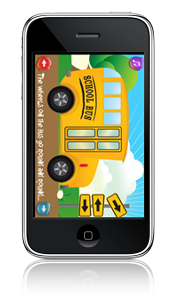 Different scenes ask for different interactions such as sliding the doors, moving the bus and so on. Options to hear the song in several languages and even the option for you and your kid to record your own version!